Keane scored 20 goals in 24 games for the Galaxy this season. Keane: front and centre for the fourth straight year. ROBBIE KEANE’S STELLAR season has earned him a place in the MLS Best XI for the fourth straight year. In a selection featuring 10 newcomers, Keane stands out as the only previous winner to be named in the 2015 team. The Ireland captain finished with a brilliant 20 goals in 24 games as the LA Galaxy’s season came to an early end in the first round of the Western Conference playoffs. Keane, 35, is the only Galaxy player named in the team which sees two representatives apiece from FC Dallas, the New York Red Bulls and Columbus Crew SC. 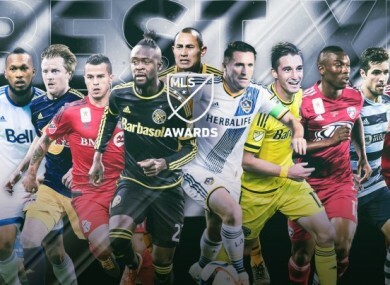 The annual team is voted for by MLS players, club executives and the media. Email “Robbie Keane named in MLS Team of the Year for the fourth straight season”. Feedback on “Robbie Keane named in MLS Team of the Year for the fourth straight season”.